"Everyone around you are disgusting little insects." Gunpowder & Sky has debuted the killer full-length, official trailer for the indie horror drama Lord of Chaos, which originally premiered at the Sundance Film Festival last year in the Midnight section (as a late addition to the fest). The indie film is based on "truth and lies", as the marketing indicates, telling the (mostly true) story of an attempt to launch Norwegian Black Metal, following its most notorious practitioners at the time. The plot is actually about a teenager's quest to spread Norwegian Black Metal in Oslo, Norway in the early 1990s, which results in a very violent outcome. Rory Culkin stars, with Emory Cohen, Sky Ferreira, Jack Kilmer, and Valter Skarsgård. The first teasers for this didn't show much, but this trailer gives us plenty of crazy footage to chew on. And this looks totally gnarly, with some crazy violent, intense moments hinted at in this full trailer. Don't ignore this one. You can still watch the first two teaser trailers for Åkerlund's Lord of Chaos here, to see the other teases. A teenager's quest to launch Norwegian Black Metal in Oslo in the 1980s results in a very violent outcome. 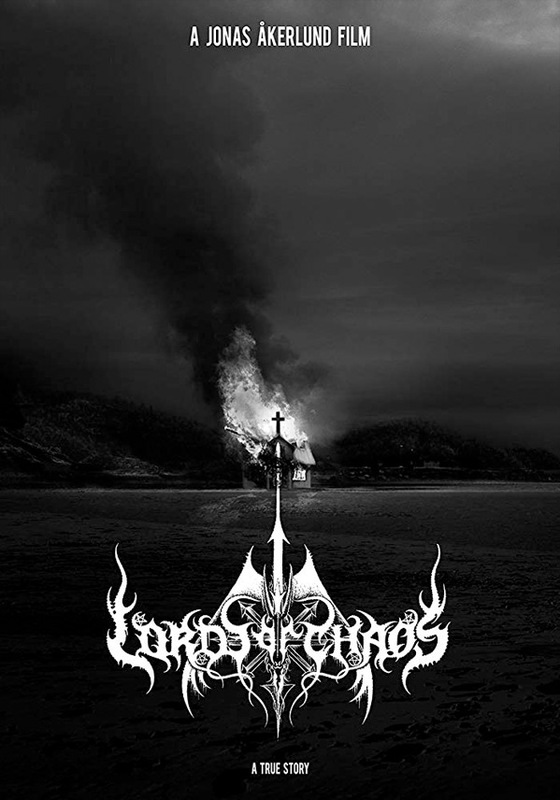 Lords of Chaos tells the true story of True Norwegian Black Metal and its most notorious practitioners - a group of young men with a flair for publicity, church-burning and murder: MAYHEM. Lord of Chaos is directed by Swedish filmmaker Jonas Åkerlund, a veteran music video director and director of the films Spun, Horsemen, Small Apartments, and Rammstein: Paris previously. The screenplay is written by Dennis Magnusson and Jonas Åkerlund; inspired by the "Lords of Chaos" book written by Michael Moynihan and Didrik Søderlind. This premiered at the Sundance Film Festival last year, and played at other fests including Fantastic Fest, Beyond Fest, and also the Sitges and Stockholm Film Festivals. Gunpowder & Sky will release Åkerlund's Lords of Chaos in select theaters starting February 8th, the on VOD starting February 22nd.